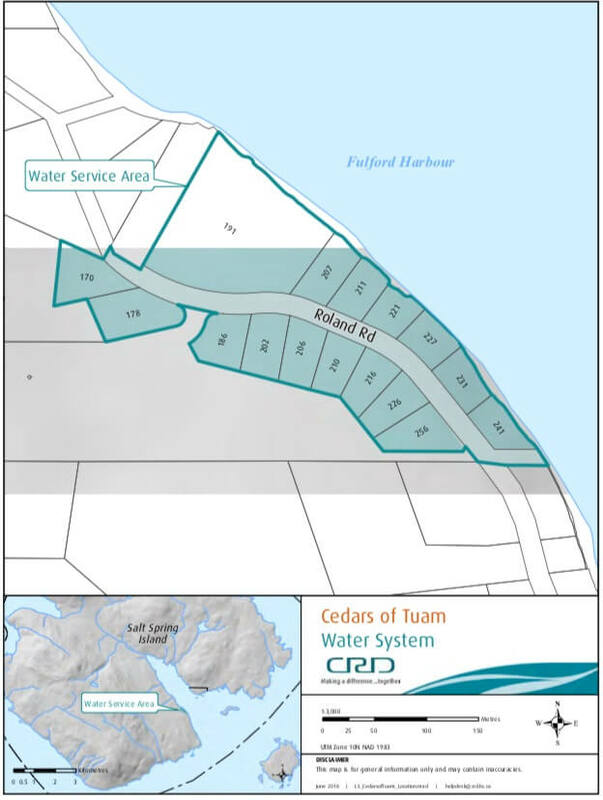 CRD Integrated Water Services advises the customers of the Cedars of Tuam Water System on Salt Spring Island (refer to attached map) that turbidity has caused cloudiness in the treated drinking water. Operations staff is investigating the matter but it is believed the ground water source is being impacted by fine sand intrusion. This problem is affecting the entire drinking water system. The duration of this event is difficult to estimate at this time. Please be advised that while the aesthetics of the water may be disagreeable, the water remains safe to drink and it is not a health concern. During this period, residents are not being advised to boil their water as a result of this occurrence. CRD staff are continuing to monitor the quality of the water closely.